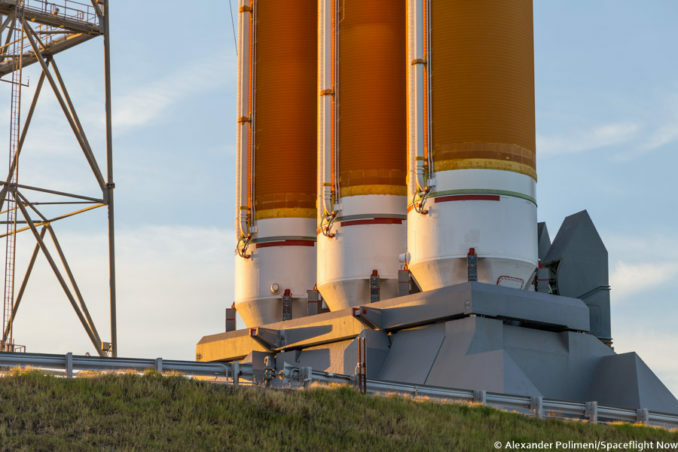 These photos taken Friday evening show the mobile gantry being wheeled away from a United Launch Alliance Delta 4-Heavy rocket at Cape Canaveral, hours before its scheduled blastoff with NASA’s Parker Solar Probe. 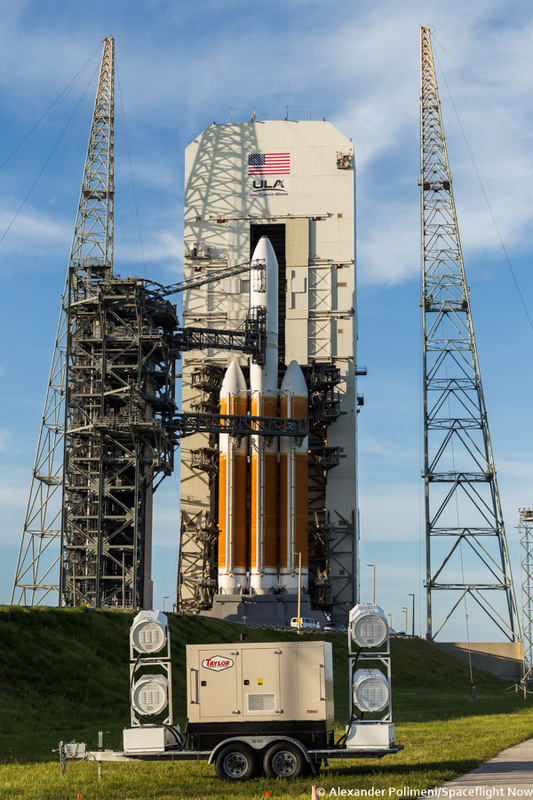 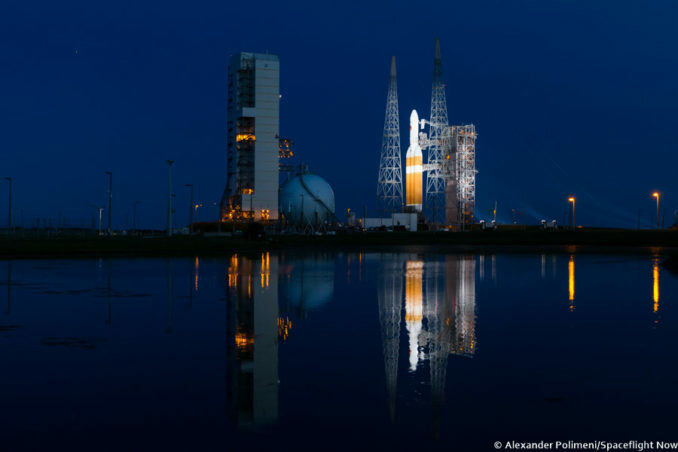 The rollback of the Mobile Service Tower at Cape Canaveral’s Complex 37B launch pad occurred shortly after 7 p.m. EDT (2300 GMT) Friday as launch crews prepped the 233-foot-tall (71-meter) Delta 4-Heavy rocket for liftoff. 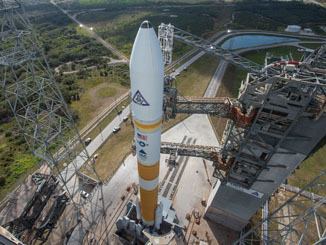 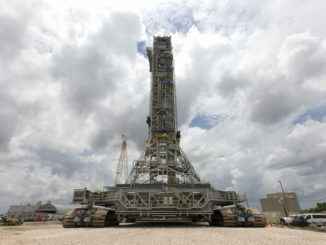 Launch was set for a 65-minute window opening at 3:33 a.m. EDT (0733 GMT) Saturday. 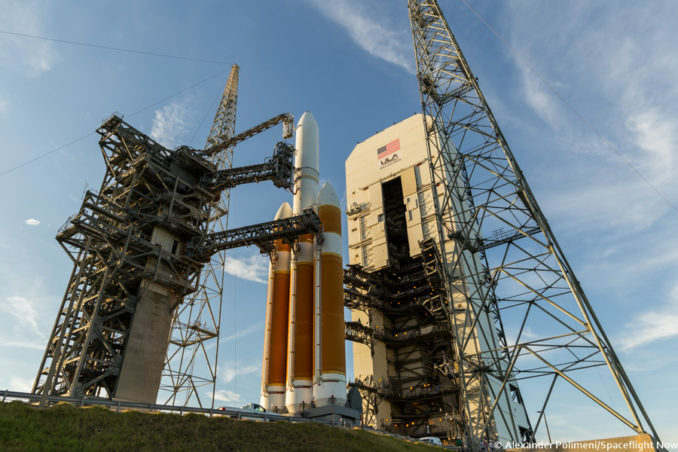 NASA’s Parker Solar Probe will depart Earth on a $1.5 billion mission to investigate the sun’s corona, our star’s super-heated atmosphere where the solar wind is generated, extending the sun’s influence throughout the solar system. 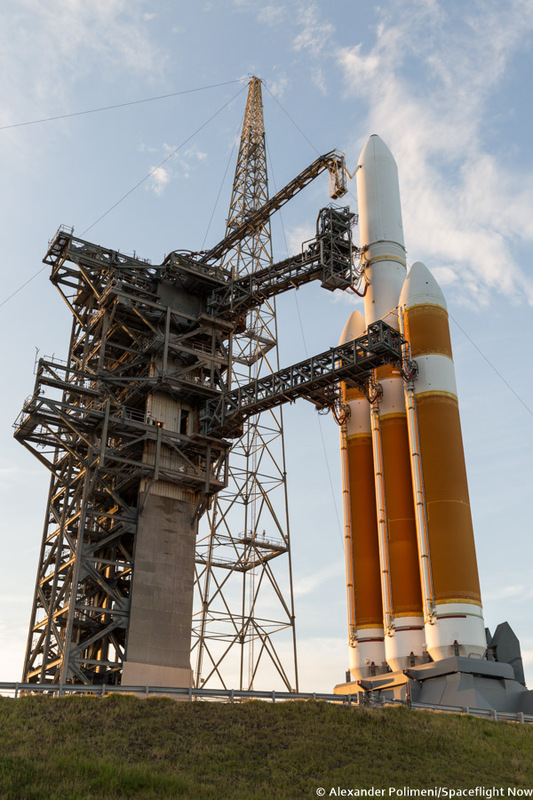 ULA’s biggest rocket, the Delta 4-Heavy, is required to send Parker Solar Probe on its speedy journey into the inner solar system, eventually reaching an orbit taking just 3.83 million miles (6.16 million kilometers) in 2024. 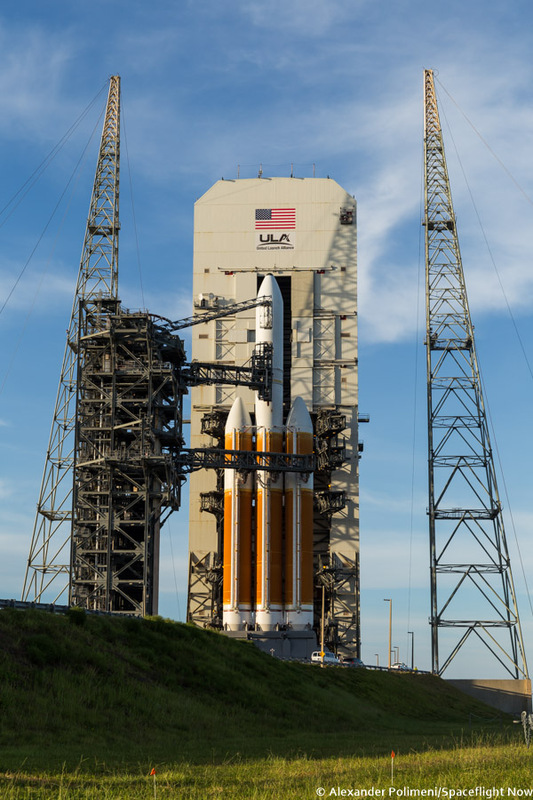 Fitted with sensors and a white light camera, the 1,424-pound (646-kilogram) spacecraft needs an extra boost to give it more velocity than even the Delta 4-Heavy can provide. 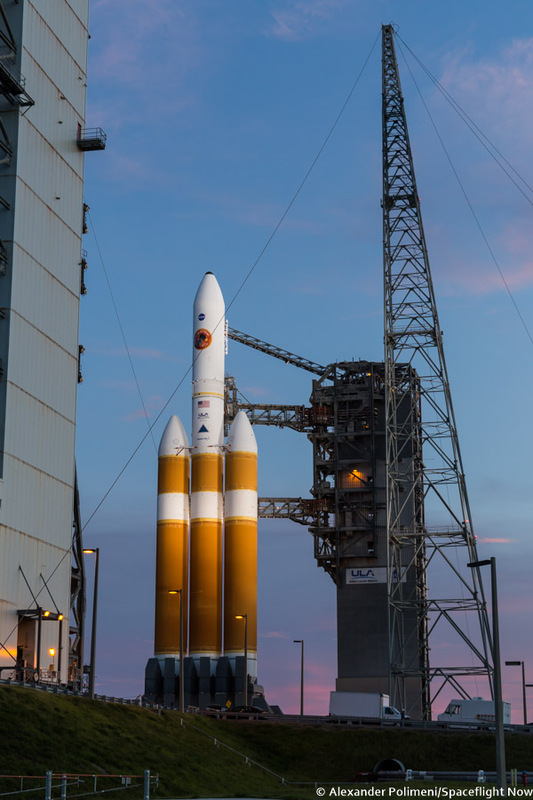 A solid-fueled Star 48BV rocket motor, provided by Northrop Grumman Innovation Systems, will give the solar probe roughly two-thirds of the speed it requires to leave Earth. 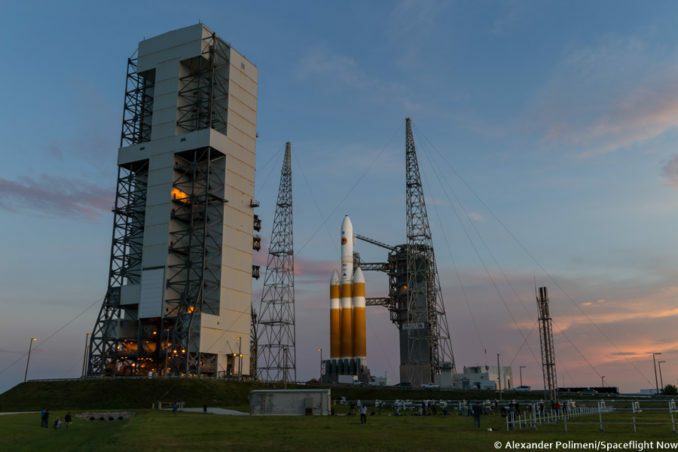 Multiple flybys of Venus will use gravity to spiral Parker Solar Probe ever-closer to the sun over the course of 24 orbits, eventually placing the spacecraft well inside the orbit of Mercury.